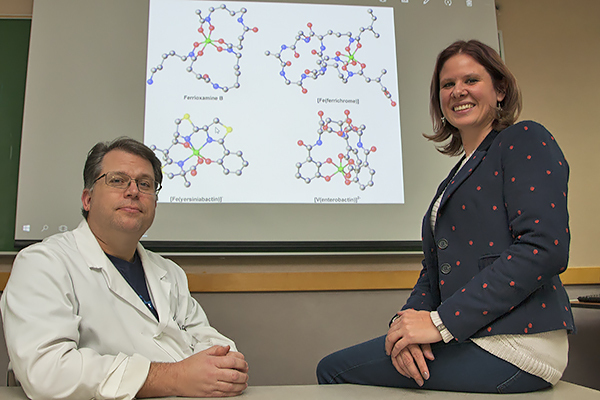 UNG assistant professors Clarke Miller and Livia Streit received a grant from the National Science Foundation for supercomputing time for researching bacteria strains. University of North Georgia (UNG) assistant professors Livia Streit and Clarke Miller recently secured a $3,907 grant from the National Science Foundation (NSF) for supercomputing time on their research of different strains of bacteria. Streit and Miller will use a supercomputer from the Extreme Science and Engineering Discovery Environment (XSEDE) Project, an advanced cyberinfrastructure project, for their calculations. XSEDE accepts applications for computing resources year-round; Streit and Miller submitted their proposal and received confirmation late last year. The goal of their research effort is to use theoretical calculations to predict the metal-binding affinities of siderophores, specialized metabolites secreted by pathogens and essential to the early stages of infection. This is the first project the researchers have collaborated on and have just begun their research. They hope to submit their results for publications and conferences later in the spring. "Computational studies on biological systems are extremely important not only to explain, but to predict many properties of those systems," Streit said. 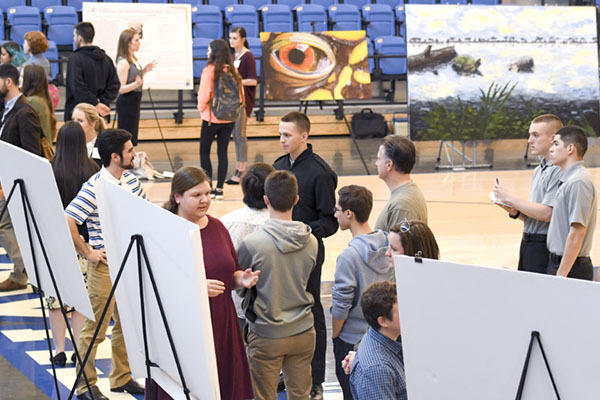 "We believe this partnership will go beyond this specific project and continue to improve undergraduate research in the chemistry and biochemistry department at UNG."